All of our trainers hold highly specialized certifications. We work to create a specific individualized program to suite your particular needs. 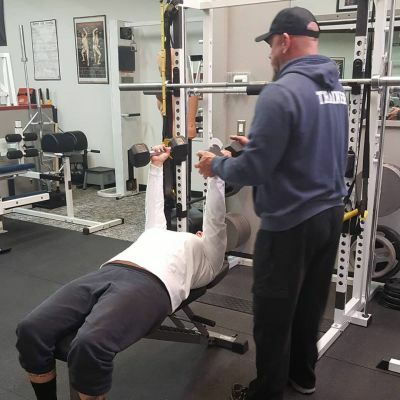 Unlike the big mall type gyms that just leave you to wander from machine to machine, we will work with you one on one in a convenient and private environment. 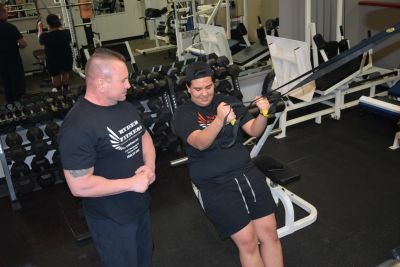 Our trainers are highly qualified and hold multiple certifications in such areas as Personal Fitness Training, Exercise Therapy, Nutrition, Strength and Conditioning, Corrective Exercise, Martial Arts Conditioning and many others. So whether its weight loss, competition preparation, mature/senior fitness, post-rehabiltation conditioning, or just feeling more confident and better about yourself, we are there to help you every step of the way.